Developer Manuel Ebert has released a web app titled, the Most Dangerous Writing App. Designed to basically force the user to write for a preset time duration - anywhere from 5 minutes to an hour - the app will delete everything you've typed so far, if you stop typing. We tried it out for a 5-minute duration, and we were able to type the following nonsense. This is a test of the most dangerous writing app. Apparently, if I stop typing this, then all progress would be lost. How in the world am I supposed to figure out what to type so quickly? When Google launched Android with the T Mobile G1 in late 2008, the response in India was pretty mild. The biggest problem for adoption of the new smartphone Operating System in our price-conscious market was the high cost of devices. Testament to this was HTC launching the Tattoo in mid-2010 as a budget phone - which cost more than ₹16,000 in India, at a time when the top Android flagships were priced between ₹25,000 - 30,000. There just was no way Android was going to be adopted by the masses, with those prices. The Donut release of Android, version 1.6, changed that. With allowance for smaller screen sizes, etc. Android was now capable of going the budget route. By the end of 2010, we had decent phones from Spice, Videocon, LG and Samsung that were below or just about the price range of ₹10,000. From there, the rest was history. Android is now found in most homes in India. At price points starting at around ₹3,000, Android phones scale all the way beyond ₹60,000 for the top phones from Samsung and LG. But herein lies another problem, one that isn't garnering enough concern - with every manufacturer trying to outbid each other on price, there has been a race to the bottom, or so to speak, which has lead to a rise in Android smartphones with great specs and barebones prices. The question is : should you buy such a phone just for the specs? 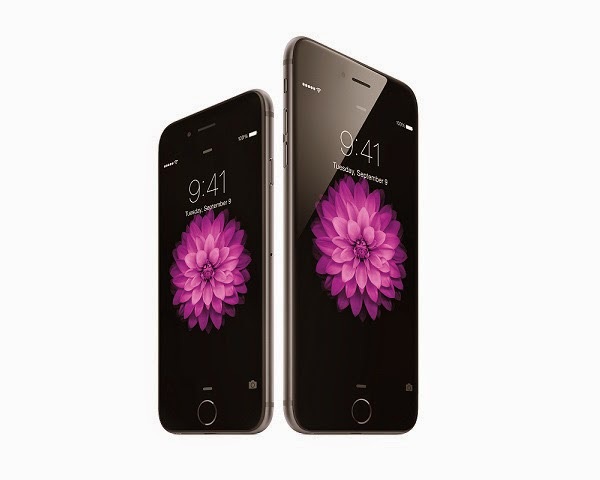 Apple announced the iPhone 6 and iPhone 6 Plus on Wednesday, 9th September, 2015. As is the case every year, they're substantial enough upgrades to the existing iPhone 6 and iPhone 6 Plus. What many of us would be dying to know, though, would be the MRP sticker prices on these new iPhones in India. Don't worry - the Indian Geek has you covered. We've been tracking Apple prices for various products for few years now, and our estimates last year were pretty bang-on: we projected that the just-announced iPhone 6 would cost Rs. 53,562, and it ended up getting a sticker price of Rs. 53,500 (at launch). So, we're projecting prices for the iPhone 6S and the iPhone 6S Plus again. Check them out below. So, Apple announced the iPhone 6, the iPhone 6 Plus and the Apple Watch on 9th September, 2014 at California, in the US. For the Apple Watch, we'll have to wait till early 2015 in the US; definitely later than that in India. Apple has confirmed the Indian launch of the iPhone 6 and the iPhone 6 Plus for 17th October, 2014 (See screenshot grabbed by GSMArena from Apple's website). We decided to put out some possible estimates on the expected cost of the two models, in their various storage configurations. In a follow-up to our Best Android Phone Below 10k, which we published last week, we thought we'd take a dip at an other end of the pool - the best Windows Phone within the same budget. There are not many options to choose from, but the main criterion we used to select the phones to put together this article is the version of Windows Phone. All Windows Phones considered for this title run Windows Phone 8.1. And so, The Indian Geek, brings to you, the best Windows Phone under Rs. 10,000. 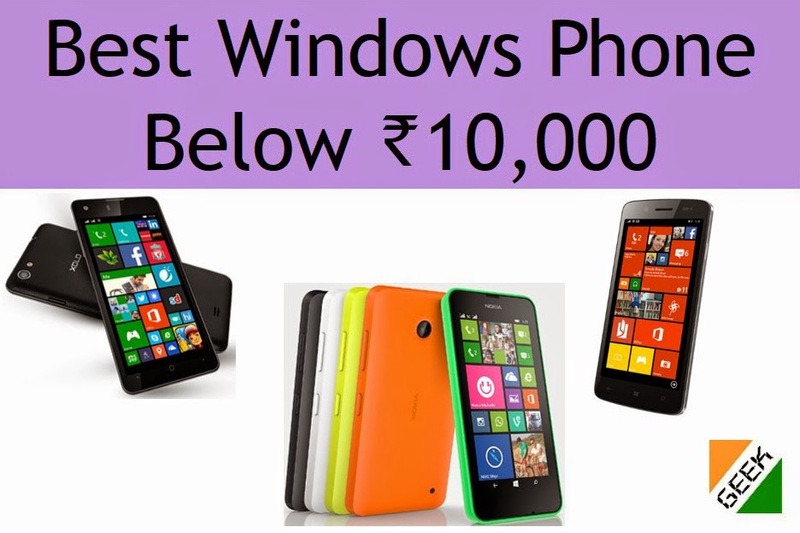 Now, without further ado, our pick for the best Windows Phone below ₹ 10,000 in India, as of August 2014 awaits you past that 'Read more' link.